This amazing mangrove sits right out on the point, many have swung from her branches over the years. Inskip Peninsula is a narrow, sandy finger of land built up by wind and waves. It forms a natural breakwater at the entrance to Tin Can Inlet and Great Sandy Strait. 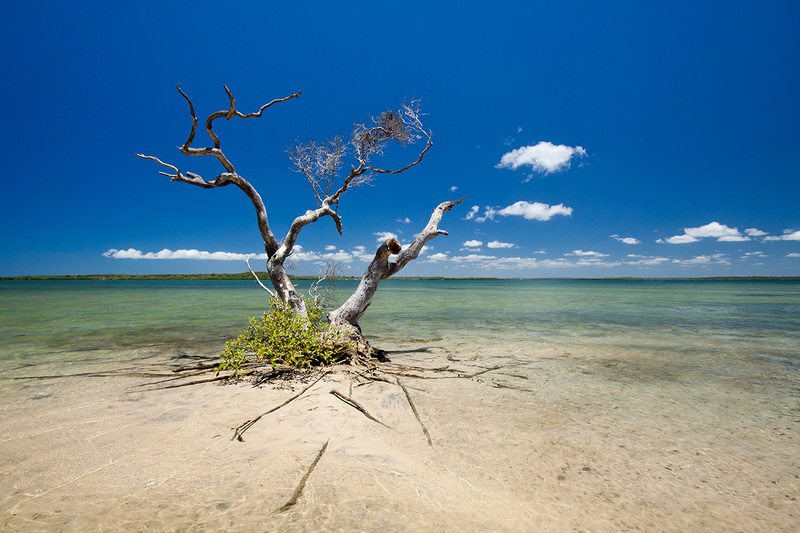 Inskip is a gateway to World Heritage-listed Fraser Island. Beach she oaks, cypress pine and other coastal trees and shrubs shade the very popular camping areas ringed by open ocean beaches and sheltered estuary shores. All are within 15 minutes drive to Rainbow Beach.